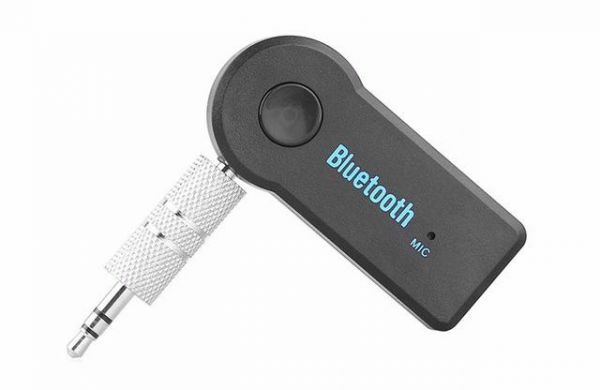 DESCRIPTION Features : Bluetooth V3.0 EDR music receiver, transmission range up to 10m / 33ft; Support iPhone, Android phone, other smart phones which with Bluetooth A2DP function; Support hands free, can connect microphone and support phone calling through Bluetooth receiver; Sleep mode for saving power; 3.5mm stereo audio output; Compatible with home stereos / speaker, car stereos, headphones; Specification : Type: Bluetooth Music Receiver; Bluetooth Version: V3.0 EDR, class 2; Frequency: 2.4GHz; Transmission Range: Up to 10m / 33ft; Profile: A2DP; I/O: 3.5mm port, Micro USB charging port; Operation Time: Up to 8h; Certification: CE, FCC, BQB; Size: 5.5*2.5*1cm / 2.2*1*0.4"; Package Included : 1* Bluetooth audio receiver; 1* USB cable; 1* 3.5mm connector; 1* User manual. 76.9% of users recommend this product to a friend. Works very well and holds charge for a fair enough time. However one cannot play music and charge the device at the same time.